GUANTANAMO BAY, Cuba — Pretrial hearings for five men accused in the 9/11 terrorist attacks focused on one of the men’s financial ties to the plane hijackers and details of his interrogation by the FBI. Walter Ruiz, defense attorney for Mustafa Ahmed al Hawsawi, cross-examined two FBI agents Thursday, questioning their interrogation techniques after his arrest outside the United States. Al Hawsawi is accused of supporting the 9/11 hijackers, including the pilot of the first plane that struck the first World Trade Center Tower, Mohammad Atta. Ruiz questioned FBI Special Agent James M. Fitzgerald and former Special Agent Abigail Perkins, who interrogated al Hawsawi four times in 2007. Al Hawsawi is one of five defendants in the 9/11 case, including Khalid Sheikh Mohammed, the accused lead orchestrator of the four 2001 attacks. They are being charged with conspiracy, terrorism and murder in violation of the law of war. All five could face the death penalty if convicted. Al Hawsawi, a 49-year-old Saudi, was “rendered” in Pakistan in 2003, Fitzgerald testified. James Connell, a defense attorney for Ammar al Baluchi aka Ali Abd al Aziz Ali, said Tuesday the case against al Hawsawi and al Baluchi is mainly a financial issue. On Wednesday, Perkins identified money transfers from the United States to the United Arab Emirates (al Hawsawi’s home country at the time of the transfers), flight records and phone records that the prosecution used to attempt to connect al Hawsawi to at least six 9/11 hijackers. Fitzgerald and Perkins testified that al Hawsawi was interrogated in English without undergoing any certified language proficiency test to reveal his proficiency in speaking or understanding English. They also said that a translator was available even though one was not used. While questioning Perkins, Ruiz pointed out that one of the men who carried out the 1998 bombing of a U.S. embassy in Tanzania, Khalfan Khamis Mohamed, was read his Miranda rights at the time of her first interview with him in South Africa, and when he was in U.S. custody, both in English and Swahili. Perkins testified that the reading of the Miranda warning in Swahili was to ensure he understood his rights. This line of questioning drew parallels to the lack of a translator use for al Hawsawi. The defense teams for al Hawsawi and al Baluchi are asking charges be dropped on the grounds of lack of personal jurisdiction due to the lack of hostilities between al-Qaida and the United States at the time. 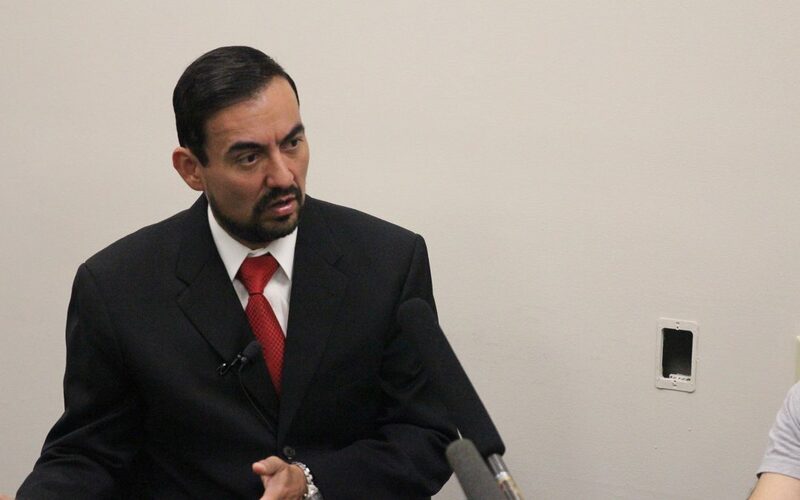 Ruiz argues that because the government did not treat the al-Qaida-conducted 1998 bombing case as armed conflict, as exemplified in the decision to try Mohamed in a federal court as opposed to a military commissions, then hostilities between the United States and al-Qaida began after the invasion of Afghanistan. The intensity and frequency of violence between the two parties weighs more than a verbal or written declaration of war by either party in the law of war, Watts said. Watts testified that violence between the United States and al-Qaida prior to the U.S. invasion of Afghanistan in October 2001 would not classify as armed conflict, primarily because of the sporadic nature of the violence, the lack of combat operatives and the lack of fire exchanges. Things got tense between the military judge and Ruiz, when the judge asked him to move on from a line of questioning during Perkins’ testimony that the judge felt was redundant. After the two debated, the judge told Ruiz he had to follow the rules in his courtroom or he could stop the cross-examination.